Margaret L. Johnson, age 85, of Wabasha, died peacefully at St. Elizabeth’s Nursing Home in Wabasha on Friday, December 7, 2018. She was born January 7, 1933 in Lake Crystal, MN, the daughter of Oscar and Estella (Caswell) Goranson. She married Orval Johnson June 2, 1951 in Lake City. They moved to Middletown, OH in 1952 and they returned to the area in 1964, moving to Wabasha where he resumed his work with Gould Battery in Lake City. Margaret was a homemaker and did babysitting for several Wabasha families for 23 years. Orval died March 26, 2002. 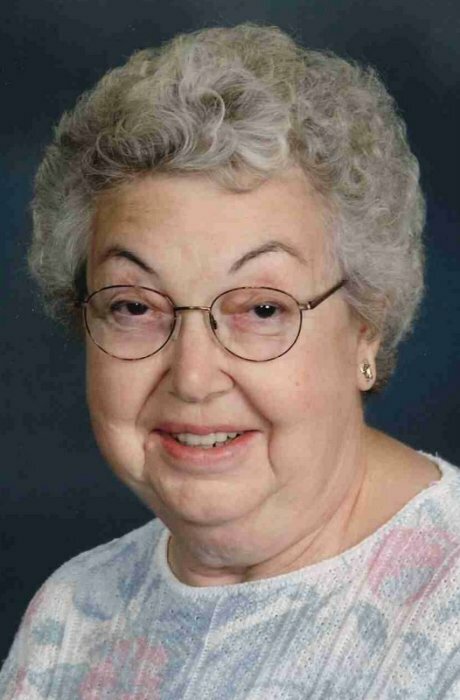 Margaret was a member of the United Church of Christ in Wabasha. She enjoyed the activities at St. Elizabeth’s especially participating in their words games. Her greatest joy was spending time with her loving family and visiting with the families she used to babysit for. She is survived by her two sons and daughters-in-law, Keith and Mary Johnson, Rochester, MN, Tom and Cheryl Johnson, Wabasha, MN; nine grandchildren; 16 great-grandchildren; her siblings, Nada (Ronald) Moore, Hager City, WI, Zada Peterson, Plainview, MN, David (Margaret) Goranson, Red Wing, MN, Jean (Elmer) Holmstadt, Red Wing, MN and Helen (Lynn) Gustafson, all of Red Wing, MN and Hayse Goranson, Lake City, MN; nieces, nephews and cousins. She was preceded in death by her husband, Orval, her parents, Oscar and Estella Goranson and siblings, Robert Goranson, Sharon Goranson, Lois Heins and Jackie Byrd. A memorial service will be held on Tuesday, December 11, 2018 at 11:00am at the United Church of Christ in Wabasha with the Reverend Kathy Schuler officiating. Interment will follow at Riverview Cemetery in Wabasha. Family and friends may call at the Abbott Funeral Home in Wabasha on Monday from 4-7pm and at the church on Tuesday one hour before the service. Memorials are preferred to St. Elizabeth’s Community Development Foundation.